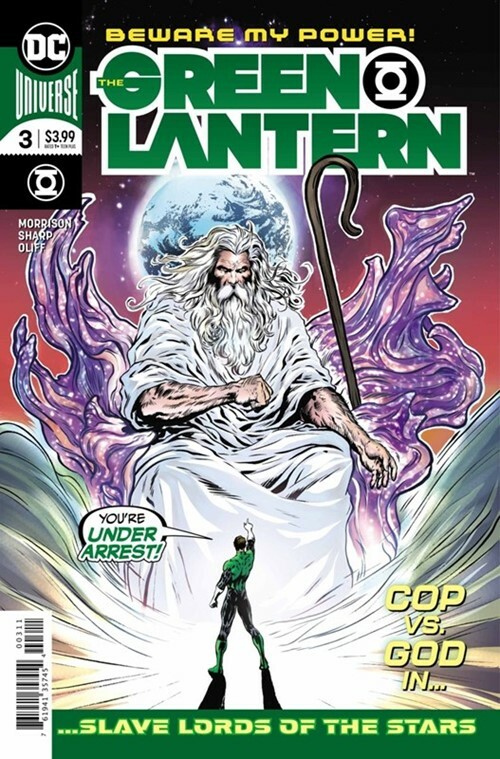 When the Earth goes up for sale on the alien black market, it's up to the Green Lantern Corps to bust up 'The Slave Lords of the Stars' in the latest space saga from Grant Morrison (MULTIVERSITY) and Liam Sharp (WONDER WOMAN)! With the Justice League frozen by Gamma Gong tech, Earth ends up on the auction block, and Volgar Zo hosts a menagerie of the universe's deadliest despots and criminals: Steppenwolf, Queen Bee, the Dominators and much, much worse. Hal Jordan leads a squad of Lanterns into the fray-and someone's going to pay the ultimate price before this case gets closed..